Climbing and tramping clubs encouraged New Zealanders into the mountains as amateur climbers. 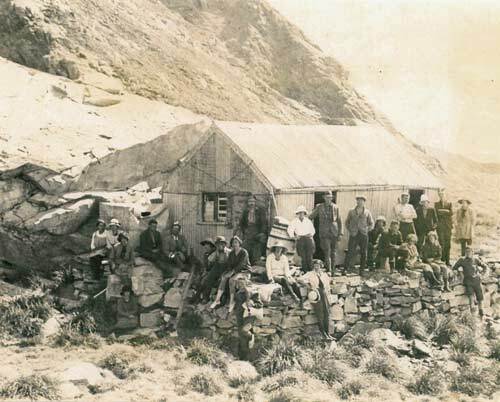 The first local club was the Tararua Tramping Club, which organised trips south in the Christmas holidays. This group of club members is at Malte Brun Hut on an expedition to the Central Alps in 1922.